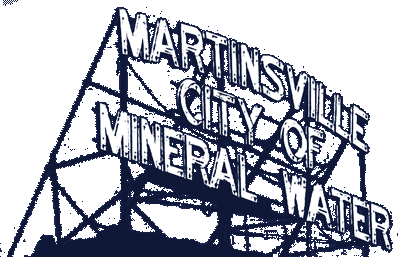 Mayor Shannon Kohl called the Martinsville Common Council to order on Monday, January 28, 2019. Mayor Kohl led the Prayer to those in attendance, then led the attendees in the Pledge of Allegiance. A motion was made by Councilman Ben Merida to waive the reading of the minutes of January 7, 2019 and to accept the minutes as written. Councilman Terry Buster seconded the motion. The Motion passes 4-0-2. Councilmen Fuller and Keller abstained due to absence. City Engineer Josh Messmer reported the Virginia Street Stormwater project is nearly finished. Election of Council President – A motion to table this item was made by Councilman Phil Deckard II due to Councilman Eric Bowlen being absent. Councilman Terry Buster seconded the motion. The Motion passes 6-0. Teamsters 135 / Ed Goodwin Business Agent – Goodwin pointed out that changes have been made to page 15 of the proposed Contract for Union employees. The changes reflect in the Sick Day Policy. It has been changed to match that inn the Salary Ordinance. City Attorney Anne Cowgur agreed to forward “red-line” copies to the Council on Tuesday for their review. A motion to table this item was made by Councilman Kris Fuller. Councilman Ben Merida seconded the motion. The Motion passes 6-0. A motion to accept the claims as reported was made by Councilman Terry Buster and seconded by Councilman Chip Keller. The Motion passes 6-0. City Clerk Treasurer Becky Tumey announced a change in payroll procedures. Tumey read aloud an email she sent to Mayor Kohl, City Attorney Anne Cowgur and all Department Heads. Tumey will no longer accept payroll vouchers without signed time sheets or time cards from each employee. The signatures must be original. Further, payroll vouchers submitted must have an original signature from the department head submitting the payroll. Councilman Phil Deckard II asked about a News Release that he thought appeared to be Fake News. The News Release was o City letter head but looked suspicious. Mayor Kohl said she sent the News Release. A heated discussion with the Mayor, Council and the Clerk ensued concerning alleged payroll issues, PR and notification to the Council of all news releases. Other comments were made by Cecelia Krefft and John Badger. There being no further business, Councilman Terry Buster made a motion to adjourn. This was seconded by Councilman Phil Deckard II. The Motion passes 6-0.